Tens of thousands of dogs are cruelly transported from Thailand through Laos to Vietnam every year where they are butchered by horrific methods. The conditions under which the dogs are transported and slaughtered are unimaginable and many die from su‑ffocation long before they reach their fi­nal destination. In reality these are the lucky ones. Those who have survived the unbearable journey are often brutally killed. Although the trade is illegal in all countries involved, the enforcement of the laws has been lacking and smugglers were traveling at night without difficulty. In northeast Thailand, Soi Dog Foundation is working to end the dog meat trade primarily by funding undercover investigators who collect information about the dog smugglers, including what routes they take and when they transport dogs. They then inform the border patrols and other law enforcement staff‑ who intercept the trucks. This has been highly successful: while large trucks frequently crossed the border ­filled with dogs a year ago, now very few smaller trucks make the trip. 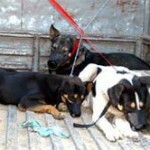 However, the dog smugglers are seeking new routes to avoid Soi Dog’s agents. 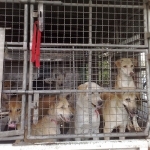 When a dog meat truck is intercepted, the dogs in it are brought to shelters managed by the Livestock Department. 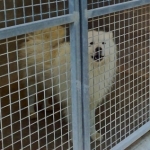 These shelters were not designed for dogs and the Livestock Department has no budget for caring for dogs, although there are now thousands in their shelters. As a result, more than half of these dogs have died of starvation and disease. They were even having puppies in the shelters, showing the urgent need for Animal Birth Control in the shelters. With the generous support of Animal SOS, Soi Dog Foundation sends veterinary teams to the shelters to sterilize, vaccinate, and treat the dogs. Many have injuries and illnesses resulting from abuse and mistreatment when in the dog meat trade. Diseases spread rapidly when the dog smugglers gather dozens or hundreds of unvaccinated dogs into holding centers. And of course, spaying and neutering the dogs is essential to produce a stable, healthier population. This Animal Birth Control program is preventing the dogs from reproducing and is stopping the spread of disease. af ABC-programmer for hunde, som er blevet reddet fra madindustrien. 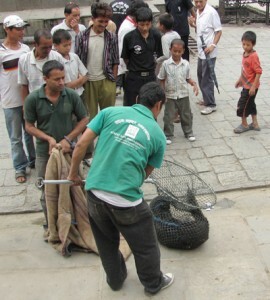 The Kathmandu Animal Treatment Centre (KAT Centre) would like to thank Animal SOS for the generous donation of US$1934 which was received on 20 April 2011. The KAT Centre is expending the funds throughout one year. This is a report on the first six months of use of the grant, and an additional report will be submitted one year after the funds were received. The city of Kathmandu, Nepal is home to more than 20,000 street dogs. 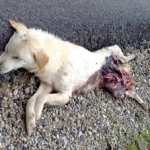 They are commonly afflicted with injuries from collisions with cars, starvation, open sores with maggot infections, severe skin problems such as mange, and infectious ailments. Some stray dogs in Nepal carry rabies and other dangerous diseases which put people, particularly children who often play in the streets, at risk. The Kathmandu city government used to poison more than 10,000 street dogs each year with strychnine, in an attempt to control the canine population. This is a horrific form of death and it is ineffective because the remaining dogs breed and the population returns to its original size within a year. The Kathmandu Animal Treatment Centre is a non-profit registered charitable organization dedicated to improving the welfare of Nepal’s animals. The goals of the KAT Centre are to create a healthy, stable street dog population and eliminate rabies in the Kathmandu Valley. Through an agreement between the KAT Centre and the government of Kathmandu, the government no longer poisons stray dogs in the areas where KAT works. 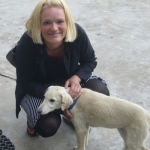 Kali – now ready to be adopted into a permanent home. The Kathmandu Animal Treatment Centre’s Animal Birth Control (ABC) program operates along the World Health Organization (WHO) guidelines for management of stray dog populations. KAT’s staff collects female street dogs who have not been sterilized (spayed) and lets them settle in kennels at the Centre for 12 to 24 hours. The animals are then sterilized, vaccinated for rabies, given ear notches to show they have been treated, and given individual tattoos for future identification. KAT’s vets also treat them for any existing health problems. After at least three days, if the animals are healthy and show no complications from the sterilization, they are released to the exact same places where they were collected. In the last six months, the KAT Centre has sterilized and vaccinated 524 street dogs. As a result of these efforts, Kathmandu’s dog population will decrease as dogs die naturally, rather than the population being limited by the number of dogs who die because they cannot find enough food. The KAT Centre’s Rescue & Treatment program is an essential component of the organization’s approach to improving animal welfare in Nepal. 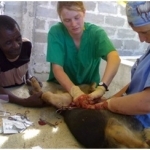 One aim of the program is to provide medical care to animals who are sick, injured, malnourished, and abused. 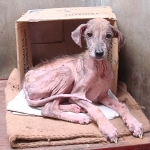 Some of the animals KAT rescues are completely covered in mange or severely emaciated. 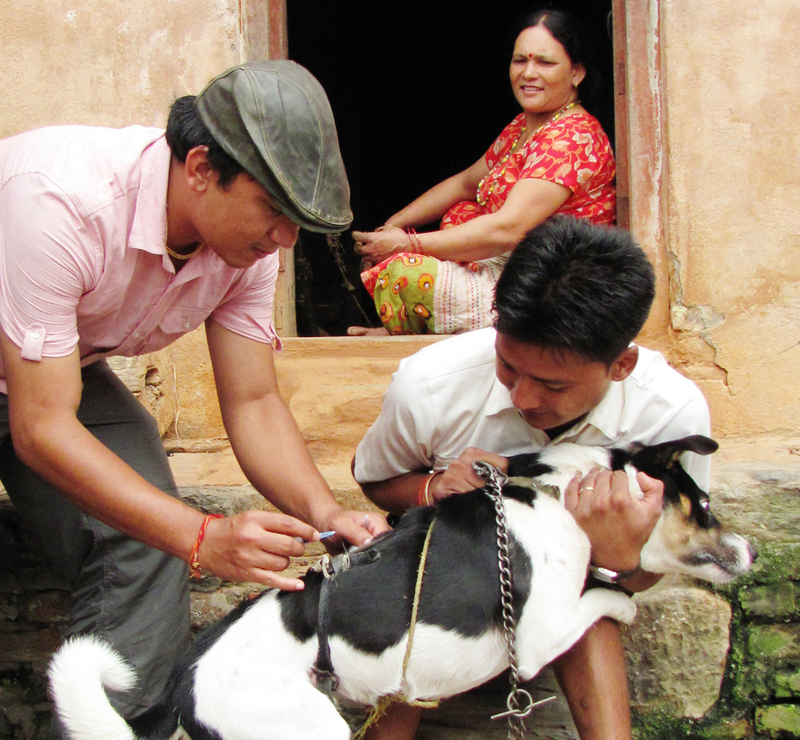 On a larger scale, the second aim is to help establish a healthy dog community throughout the Kathmandu Valley. In addition to giving severely needed and often life-saving veterinary treatment, the KAT Centre sterilizes every dog and cat who enters the program, so they do not produce more unwanted animals and exacerbate the pet overpopulation problem. 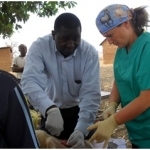 KAT also vaccinates each animal for rabies. 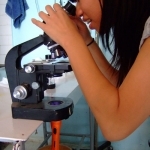 After they are fully restored to health, the organization ensures they go to a suitable environment. The KAT Centre provided veterinary treatment to 296 stray dogs and cats in the past six months (This is in addition to the 524 animals treated in the ABC program). The KAT Centre’s Animal Birth Control (ABC) and Rescue & Treatment are complemented by a humane awareness program for children and adults. • Proper waste disposal, because the number of stray dogs that an area can support is directly related to the amount of rubbish on the street. • Distribution of leaflets about the stray dog situation, KAT’s work to help stray dogs, and rabies awareness. The KAT Centre uses every opportunity to educate the public to treat animals with care and compassion. 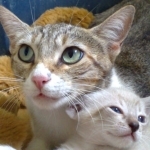 While rescuing animals, the KAT team talks to local residents, distributes leaflets about proper care of animals, and encourages people to adopt pets and to contact the organization when they see animals who need help. Furthermore, the KAT Centre serves as a model of compassion for animals and is producing a shift in the public’s perspective about the animals with whom they share their city. In the last six months, the KAT Centre’s staff visited 18 schools and educated 760 students. Additionally, many school groups and youth organizations visited the Centre. 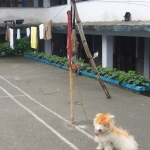 In the summer of 2011, KAT’s three major programs – Animal Birth Control (ABC), Rescue & Treatment (for sick and injured animals) and Public Education – began to simultaneously target the same areas of the city of Kathmandu. 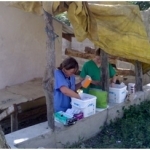 Additionally, every Sunday, KAT’s vets and animal care staff travel through the current target area to provide on-site treatment to animals who need veterinary care but do not need to be sheltered during the treatment. The KAT Centre began this integrated strategy in the area around Kalanki, and after sterilizing and vaccinating every possible female street dog in that area, KAT is now implementing its three major programs in greater Swayambhu which is just north of Kalanki. It is clear that this approach makes a lasting impact on the attitudes of the public towards stray dogs; for example, many people in these areas are calling KAT about animals in need of rescue who would have previously been apathetic about suffering animals. 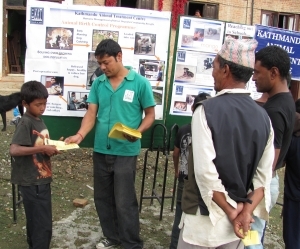 The KAT Centre implemented its third rabies vaccination program in the village of Bungamati, on the outskirts of the Kathmandu Valley, from 15 through 18 August 2011. Bungamati has an abundance of street dogs and the villagers are concerned about the risk of a rabies outbreak. 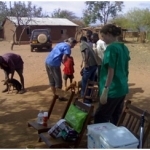 A team from the KAT Centre spent four days vaccinating close to 500 dogs in the area. 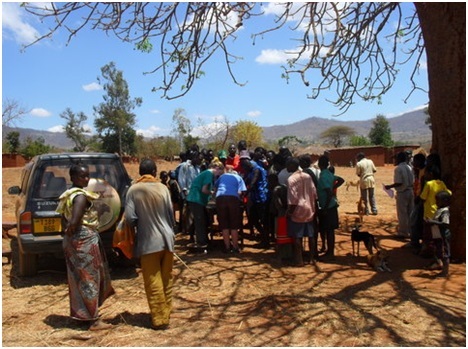 They also provided on-site treatment to animals as needed, and educated the public about rabies prevention, care for animals, the importance of sterilization, and why KAT was implementing the program. Furthermore, the organization brought its Public Education program to two schools in Bungamati to reinforce the public awareness activities. The health of the dogs was better than in previous years, an indication that KAT’s previous awareness programs have made an impact. Drs Sonya Yu and I joined final year students from Denmark, Maria and Louise, in New Delhi to head up to McLeod Ganj for 3 weeks of volunteer work with Tibet Charity. Sonya and I had never been to India before, and the thrill of Delhi was in stark contrast to the incredible scenery of the Himalayas that greeted us on arrival. After settling into our accommodation at a neighbouring guest house, we had a patient waiting for us even before we’d had any chance to settle into the clinic at Tibet Charity (T.C.) House. Getting straight into the work was the perfect way to settle our minds with something more familiar after 3 days of cultural revelations. Even after half a day in the clinic and the upstairs classrooms, we got a sense of the very relaxed, very welcoming atmosphere that we thoroughly enjoyed for the whole 3 weeks. The first people we met were 2 volunteer English teachers, Shaun and Tanya, an American couple who were coming to the end of their stay. In the clinic, we were finally introduced to Bishan Das, or Vishnu, the vet nurse already held in high esteem from Louise’s experience of the previous year. Many other people entered our circle of companions over the next few days, from Bhum the general fixer-of-everything, to Rinzin, the lovely Tibetan English teacher, and of course, the Director, Tsering Thundup. 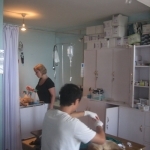 Our clinic was a smallish, but well setup room with the most efficient use of space as one would ever find in any clinic, anywhere in the world. And this was where we began with a street dog with mange. 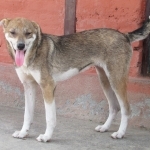 Mange, as we learnt very quickly, was an extremely common affliction in street dogs, as frequent preventative treatments was near impossible to carry out. The work in Himachal Pradesh involved 3 main components: local work in Dharamsala neutering street dogs and treating any diseases/injuries of dogs caught or brought in by concerned locals; setting up neutering camps in regional towns, again also treating any medical conditions; and finally the rabies vaccination program carried out everywhere we went. The latter probably carried the least significance for us personally prior to our time there, but for reasons described below, was eventually realised for its true value in controlling the disease. Our first camp was at a satellite school of the main TCV School in Suja. 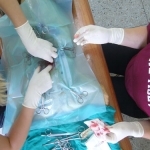 Over the next couple of days, we had an excellent time staying on school grounds, and during the day, operating on local strays caught for us by the students. There were many unforgettable scenes of Tibetan high school students crowding around our makeshift surgery tables set up under the open skies (with tarpaulin sheet prepared in case of rain) in the courtyard of one of the student dormitories. One thing we found time and again here and in some of the places in and around Dharamsala, but perhaps less so in the bigger cities of India, was the excellent condition many of the stray dogs were in, being looked after so well by the animal loving local (Buddhist) population. As with many of our camps and road trips, there was a visit to one of the nearby monasteries, where we also attempted to find some surgical equipment left there the previous year! From Suja, we drove to Tashi Jong, another beautiful Buddhist monastery, for another couple of days of surgery. Here, we were hosted on the first night by the head monk, the Rinpoche, and one of the senior Korean nuns. Like everywhere else, we could see evidence of previous camps, with numerous dogs carrying the distinct ear notch, as proudly pointed out by Vishnu. After 2 days, we had neutered over 15 dogs, and treated many for mange, as well as vaccinating many more. Again, there was a very friendly attitude from the locals, who openly showed their appreciation of our work, and as we left, we were to humbly accept several Buddhist shawls from the residents. After nearly a week away, we very much looked forward getting back to our new “home”. We spent a couple of days unwinding, during which Vishnu took us up for an inspiring ascent into the surrounding mountains, followed by a gruelling descent, as our fitness failed us dismally, while Vishnu and his wife effortlessly cruised ahead. Shortly after this, we were to experience first hand the horrors of the disease we were here working against. One of the TC staff was bitten by a stray dog, whom we later confirmed on suspicion as being rabid. Reports followed later in the day, while we attempted to get the human immunoglobulins for the staff member, that several other people and dogs had been bitten. This set the scene for the next week or so as we attempted to catch the rabid dog and begin inoculating as many of the local strays as possible. For the first time during our trip, there was an element of seriousness and heaviness in the air as we thought about the immediate and long term repercussions of what had happened. It was like nothing we had experienced before, and put into perspective our fortunate position in life, since once we had left India, we were no longer living with this threat that locals lived with everyday and with complete acceptance. It also brought about many interesting discussions among us in regards to protocols for such situations. Factors to be considered were: – extent of our involvement as a charity organisation operating under strict regulations of local authorities; – the effort (or lack thereof) of local authorities in catching dogs suspected of having rabies, and the manner in which this is carried out; – dealing with animals suspected of being bitten- there were several different thoughts from various persons involved, from local vets to foreign vets to medical texts and resources; – educating locals on the whole rabies disease process; and – taking into account the very important issue of Buddhist philosophy on matters of euthanasia. Ultimately, we did not progress far beyond dealing with the immediate situation only. There are several similar programs being carried out around the world, some with many more years experience. Even still, there are no protocols set in concrete, and as we found, it is the immediate situation that is most important to be attended to with the short time available. Together with the plans for long term practice of TC, this will hopefully create an ‘ecosystem’ amongst the stray dog population in India, which seems part and parcel of daily life, that will minimise the propagation of rabies. And the long term future of organisations such as TC require the continual supply of volunteers from the developed world, something we aim to contribute to for many years to come. Mogens Østergaard Hansen has, during the last seven years been in Asia and Spain seven times to help street dogs and cats. 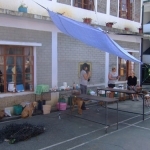 It all began back in 1999 when a client challenged Mogens Østergaard Hansen to collect a group of vets who were interested in helping the street dog problem in the Tibetan part of India. The following year eight vets from Denmark and Sweden under the leadership of Mogens went to the Tibetan exile area in south India. Here they operated on and vaccinated around 200 dogs in very special conditions, for example on Coca Cola cases topped with marble slabs. While they were there they had an audience with the Dalai Lama who praised their initiative and asked if they could start a similar project in Dharasamsala I north India , where the Dalai Lama, himself, lives and where there were Tibetan children dying after being bit by rabid dogs. The next year the same group went to Dharasamala where they operated on 250 dogs, this time in a wedding tent on the high table with a view to the Himalayas. 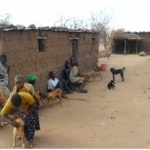 Since the groups work there has not been a single occasion of rabies in the area and the residents have noticed fewer dogs and that those dogs that remain are in better health than before. After this contribution Mogens went, alone, to Bodhgaya in east India to investigate the possibilities to send a group of vets there. Bodhgaya is an important place for Bhuddists, it is the place where Buddha was enlightened as he sat under a Bodhi tree. The area has many temples and is and is also the center for western Bhuddists. It was one of these centers that was interested in cooperating with a future project. After a stay in this center, where the only food served to eat was linseed soup, salad and water (a weight loss of 10kg in 14 days!) Mogens arranged for a group of 10 vets together with vets from other countries to take part in a big project. 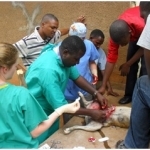 This was a big success and many dogs were operated on. 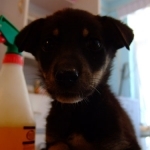 The following year Mogens was in contact with a street dog organization in Bangkok which needed help. In the last f our years 3 street dog project have been organized in Thailand, all of which have been coordinated and led by Mogens, one of which had 43 people taking part. These people were divided into three teams and worked in eight different areas in Thailand. This was the first time ever that so many vets from a country have taken part in a street dog project. Over and above this there has been a direct contact from a street dog organization in Barcelona, Spain. Mogens went there in 2007 to help with their cats and at the same time their dogs. 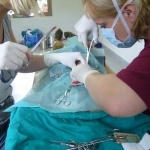 Through these projects thousands of cats and dogs have been operated on, though this seems a small number in relation to the 350 million dogs and at least as many cats hat live without owners throughout the world. But as has been said xThe world wonxt change for one dog, but surely the world would change for that one dog.x Our presence helps to change the attitude towards street dogs and cats in these areas, as the lectures and the publicity in Denmark and other Scandinavian countries create an interest to join and carry out these projects. This is how things spread in water. In October and November 2007 I was in Bangkok again to work with two organizations SCAD and Dog Chance. The first organization is led by some ex patriots w. ho live in Bangkok, while Dog Chance is led by Pym who is a clever Thai lady. At her home in Bangkok she has around 100 dogs that she looks after, and on her farm between Bangkok and HuaHin she has a further 600 dogs and a further 150 dogs at her clinic close to her farm. All the dogs are street dogs and most of them are suffering from some kind of illness. She also has many crippled dogs the results of traffic accidents where Pym and her many helpers look after and treat their sores everyday which the dogs get from pulling their bodies along on a daily basis. There are also many dogs that are missing one or two of their legs. I have seen dogs without any back legs (or front legs) or missing one front and one back leg. Thank goodness not on the same side, and actually the dogs could run around on two legs. It was surrealistic to look at. One can as a westerner ask why not put these dogs down? But this is not possible choice in Thailand which is a Buddhist country. Here it is thought that dogs have a human soul that has not behaved well in an earlier life. This means that to be a human again one must go through suffering and that it is through this suffering you come closer to a higher consciousness (awareness). So if you kill a dog you take the suffering from him and therefore his soul will not come closer to a higher consciousness. This is the reason there is no medicine to put animals down with at Thailandxs veterinary clinics. On the other hand there is great expertise of amputations. We were a group of 4 vets and 8 veterinary nurses and several voluntary helpers coming from around Scandinavia and arrive close tong in the middle of October. Actually it was an international group as three of the vets came from respectively from Czech Republic, France and Estonia but had been trained in Denmark and were living there. We met as expected at The Dubliners, an Irish pub in Bangkok together with the two other organizations, to arrange the work. The next day we started. We started at SCAD who had modernized their clinic which was just out of Bangkok and close to Bangkok’s new and modern airport. When I say modernized I do not mean by western standards. They had their cages and operation tables under a permanent roof, previously there had been a felt cloth. But we were still out of doors with a view over a very marshy area as far as the eye could see. One day I went there alone with a taxi the further we went over the small easily flooded roads the more nervous the taxi driver became. Finally he looked nervously at me and pulled his hand across his throat and asked if it was that I had thought of doing to him. I answered I was from the Mafia and that he should just continue driving, and then I smiled. 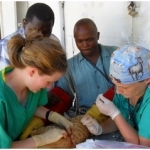 We operated on many cats which was new for the organization. Before the organization was called Soi Dog Rescue but after they had begun to help with many cats, which are often found around the temples, they had to change their name to SCAD Soi Cat and Dog (soi is the Thai word for street). 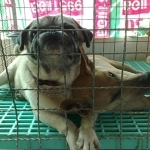 SCAD works together with the temples in Bangkok and get many cats and dogs from them. Many Thais deliver their cats and dogs to the temples when they can/will no longer have them. Buddhists believe they do good when they do this. I do not think the monks are that pleased with the arrangement as the temples in Thailand have very little money to do “good” with. This means that the monks cannot afford food or treatment of the animal. It was from the temples that we found the very worst of the suffering, starvation and other illnesses. The only temple that really earns money at the moment is the Tiger Temple west of Bangkok. Six years ago I was there was nobody except our little group. There was no travel organization in the whole of Bangkok that knew where it was and it took forever at find the way there. But then it became famous after a series of programs on Animal Planet and sine then there has been no looking back. Today all the travel bureaus advertise with tours to the Tiger Temple together with a tour to The Bridge over the River Kwai which is quite close. Today there are between 4-500 tourists visiting the tigers every day, you are taken around in a group by guides or helpers. It is good economics for the temple as now there is enough money to build a special new tiger area to replace the old one that was collapsing. 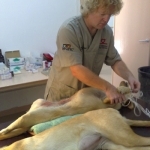 After a good operation with SCAD where we operated on 150 cats and 100 dogs we went to Dog Chance. We should be at Pym’s clinic outside Bangkok and down by Hua Hin for two days. Hua Hin is a bathing resort and very popular amongst tourists. In fact many people buy holiday houses or flats there. Pym’s clinic can best be described as a prison. There are 4 concrete walls in the middle of a field with glass shards on the top of every wall. The only opening into the area is a big iron door which is locked when one goes in. Inside there is a very big cage area with 4 cages where there are about 40 – 50 dogs in each cage. There is also 2 sleeping rooms and storage room, eating area and living quarters for the permanently employed (almost imprisoned!). It was here we should be for 2 days operating. When one has stood close to the Himalayas and close to the rain forest and operated it is extremely hard to operate in this environment. But what we missed in views and surroundings was made up for in the enthusiasm and efficiency of the staff. Things really happened with Pym. There are always dogs, she works herself and directs the troops and we were sweating! All of us were really motivated. This was why we were here, to operate and make a difference and not just sit with hands on our laps and drink cocktails. So it was a very happy group of tired people that went back to Bangkok two days later after a mass of work and about 100 operations. We had a good journey with plenty of experiences and impressions. On this kind of tour where one is involved in work that is either humanitarian or animalterian (new word?!) then you have some experiences that are unknown to the ordinary tourist. I also enjoy being an ordinary tourist to completely relax, so Anne, my wife, and ended the tour with a ten day holiday on a little Thai island. But I cannot forget that feeling that I through my work have the possibility to make a difference without there being any money involved. 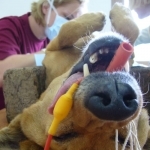 In fact a large part of the profit from The Veterinary Clinic Holger Danske goes to these projects and thereby my clients are supporting these projects. Hundene efter gennemgang af ABC-program. Through my work with street dogs in India and Thailand, I am in the committee for the newly founded organization Animal SOS. The goal of this organization is to support projects for street animals (primarily dogs, cats and hoofed mammals) in the world both practically and economically. At the annual general meeting we were asked if it was possible to help an organization close to Barcelona in Spain that had a serious problem with street cats. At first I was not interested because I had already planed a new project in Thailand in October/November 2007 but after some consideration, I managed to change my schedule so I could go to Spain for a week. In August, we went South with equipment and medicine and after two days in a car we were happy when we arrived in Barcelona. We were going to a small town near the coast called Castelldefels. Here we met up with Jose Louis, an elderly man who did not speak English (not a lot of Spaniards speak English, but he spoke German instead (which I did not speak). Luckily he knew some French with which we could communicate. We went to the clinic that consisted of three rooms with strip lights, some tables and a toilet and nothing else! No refrigerator, no equipment and no medicine. The vets who had been there before us had also brought their own equipment but they could really use the most basic things in the clinic. But we just had to get started. Through my many projects in India and Thailand (see descriptions of these projects here) I was used to work under the strangest conditions by now, so this was close to luxury. We took out our equipment and the first day I examined basically all the cats (22), which they had expected would last two days. So I looked forward to the next day being a bit more relaxed. But that was not going to happen. They had been out catching cats all night which meant that a large number of cats were waiting for us. 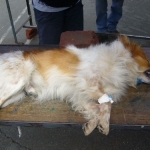 Besides that, the rumor of a fast and effective vet from Denmark had been spread so there were also a couple of dogs from a local animals’ home. And it was supposed to be a cat project! But never mind we took the dogs also. The days continued like this with lots of cats and dogs and in the end of the fifth day, the final numbers showed we had operated on 85 cats and 22 dogs. Everyone had made a great effort and was happy. The last day Anna and I were out looking at animals’ homes and this was a great experience. We had heard so much about “evil” Spaniards who have bull fighting and hang their hunting dogs when they are not effective anymore. But then we arrived at the animals’ home where a lot of young Spanish volunteers who work with the animals in 35 degrees and without pay. We saw most of the dogs and the majority of them were cute and very affectionate. Like in most places in the world, the dogs in Spain start out as family dogs but end up in the streets. People buy a puppy but when it gets bigger, it is not as cute anymore. Maybe you want a new puppy or you have to visit your family somewhere else in Spain so you let the dog out somewhere away from your house and then you have a street dog. The cooperation with the local volunteers was good but it is thought-provoking that both local and state government show so little interest in helping. There should be decent facilities and equipment and the volunteers should get paid. Today they use a large amount of their own money to help animals in need! Anna and I also had time to experience Barcelona where we stayed in a hotel close to the main street La Rambla that always buzzes with life. We were offered private accommodation close to Castelldefels but we chose the hotel to be close to downtown Barcelona when we did not have to work. 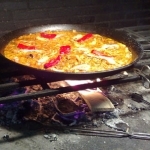 But the last day we were invited to Jose Louis and his wife’s house to have Paella and Sangria together with the other helpers and we were offered to stay with the woman who first had offered us accommodation. We had planed to drive back to Denmark but it became late and the atmosphere was friendly so we decided to take her offer. After seeing her house we decided that we could stay there next time. It was a giant house with our own section with living room, bedroom and bathroom on a mountainside. It also had a big swimming pool with a view over the Mediterranean and a big terrace above the pool. It was like a Hollywood movie. We have received these photos and informations from the Australian vet James Forbes, who has helped at the clinic in Upper Dharamsala. James, Australian vet filing a 25 plus year old mare’s teeth in a rice field close to the western nunnery at Norbalinka,south/east of Dharamsala,with one of the nuns helping.Luckily the mare was quiet as she was not tranquilised & just had a rapidly made rope headcollar on. 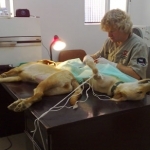 This is Robert, Danish vet & James doing a bone pinning on a street dog, with a week old mid-femur fracture,in the clinic. Again using very basic instrumentation, no X-rays, vicryl as stainless wire,a bent 18gauge i/v needle to thread it around the bone to help stabilise it & the only available Steinman pin we could find at the local hospital. After strict confinement the dog was walking comfortably two weeks later. It also had a proximal fracture of its opposite tibia, which was cast. 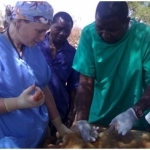 Trine,a Danish student helping James castrate the above mare’s 6 month old foal at the western nunnery with the owner supporting the front legs. Intravenous anaesthetic was used, with the foal up & eating within 10mins.We only had basic instruments but with artery forceps, transfixing sutures, a scalpel blade & a pair of scissors all went well. Two years ago, we were operating on dogs on marble table tops in a Coca Cola warehouse in the middle of a Tibetan exile area in South India. Now, we are operating on dogs on wooden tables in a big party tent in the Himalayas! What woul happen next? What went before this was a brief time after our return from India in 2001; we were strongly requested to make a similar project in Dharamsala in North India. This area is H. H. Dalai Lamaxs home, all of the Tibetan administration for exile Tibetans and roughly 8000 Tibetans. There were several reasons for them to want us to work on a new project. Partly because of the positive feedback from South India where the health of the dogs improved, which can be seen on better coat and skin quality. Also that it was clear that not nearly as many puppies were born because the parent generation had been neutralized. And partly the residents in the area had got another attitude to the dogs and took better care of them. 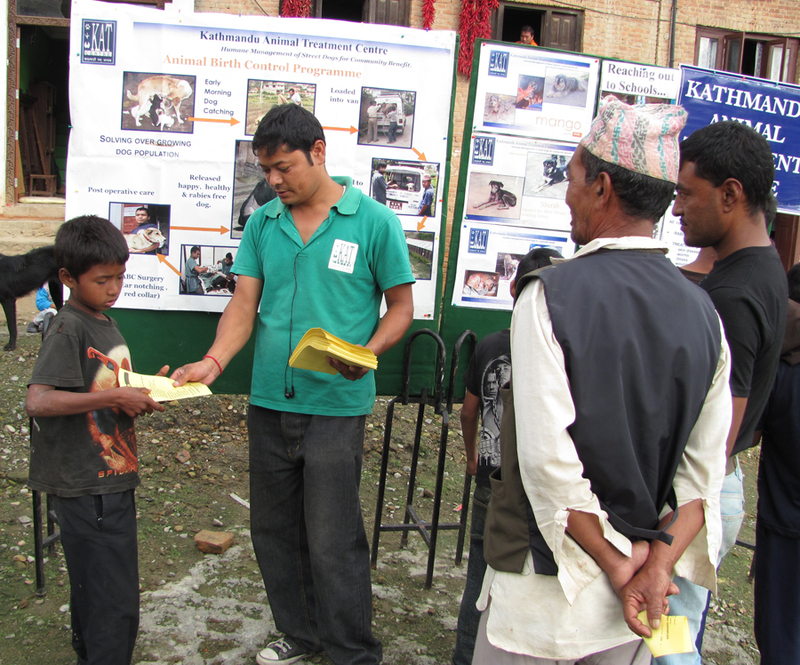 But the primary reason for this project was that every year Tibetan children in Dharamsala die of rabies caused by dogs. This was a change compared to our last trip because there was not rabies in the Tibetan area in South India. So besides treating the dogs for parasites, neutralize them, give them microchips and check their health it was also necessary to inoculate them against rabies. This caused some professional thought. Did it have any effect at all to inoculate the dogs? Based on considerations that included that it is a fairly closed population of dogs in a mountain area, we decided to put it to the test. The authorities in Dharamsala had in addition a wish to inoculate the dogs against rabies because tourists often stayed away from the area. A lot of tourists are afraid of going to the area because of rabies and therefore it is important to re-establish trust. The preparations for the trip were a bit easier this time. We had experience from the previous trip and we had left behind some equipment down in South India that we had sent to Dharamsala. 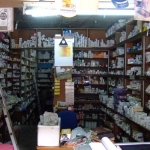 Our experience with the Indian customs, that had caused us trouble last time, made us send packages with medicine to the area weeks before we traveled there. Because of the Indian postal service we were excited while we waited for the medicine to arrive to the area. Shortly before we were going to leave, we received news that only 5 out of 7 packages had arrived. Most of these packages had been destroyed and medicine was missing from some of them. For example had the bottle with vitamin B been crushed which made everything in that box brown and sticky. 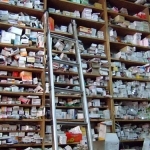 In addition to that, some Tibetan persons had placed the medicine in a lot of different places, which meant that we got mail regularly saying they had found some medicine here and there. Just before we left, we had to buy medicine for 10,000 Dkr. to replace the medicine that had not arrived, and of course we received a mail the day before we left, that finally some of the missing medicine had arrived. Typically Indian! Experienced by the last trip we made sure to make a list of all our equipment this time, which we got verified on the Indian embassy. We spent a lot of time with this and it would turn out to be a waste of time. We had as mentioned some of our equipment from last time but we still needed a lot of new things. Almost all the medical companies we contacted were positive and either wanted to give us money or equipment. This made it a lot easier for us. Like last time, we all met at Centrum Dyreklinik. We were a big group of excited people consisting of 7 veterinarians, 1 veterinary nurse, 2 helpers, 1 nanny and 5 lovely children between 5 and 10 years old. The spirit was high and it would last the whole trip. We did not bring a lot of baggage this time because some of the equipment and medicine were there already. We had limited our private baggage because the last trip had taught us that clothes were so cheap in India that it was crazy to bring a lot from home. The flight: well, a lot of people, boring food, alternative sleeping positions and friendly flight attendants with big smiles. I spent a lot of time on a new gadget; the private TV monitors on the back of the seats. You can choose between a lot of channels, including a channel that shows take off and landing via a camera mounted in the front part of the plane. I would not recommend this channel for anyone with fear of flying because you can see all the planes that cross of the path of your plane while you taxi the runway. There was also a channel with a real Indian “Bollywood” movie, that is similar to an old American musical. The difference is that the big band music has been replaced by sitar and drums and the girls are a lot prettier. I used the last two hours before arriving at the airport in Delhi to prepare myself for the Indian customs. Last time in South India we used two days to get our confiscated medicine back but this time we had got fancy stamps on a lot of important looking papers from the Indian embassy. In addition to that I had prepared for anything that might happen. And what happens? We are waved right through customs by a slightly irritable and tired looking Indian customs officer. I felt both irritated and happy. Irritated because of all the work we had done and that they do not do their work but happy that we got through so fast. After all, it was 3 am and we had five tired children and a one hour ride to the hotel through Indian traffic. Something about the Indian traffic: You cannot describe it, it has to be experienced! A lot of Danish veterinarians have just been to a world congress in Bangkok and have experienced the traffic in Asia that can be chaotic. But compared to New Delhi the traffic in Bangkok is nothing. Besides driving faster and closer, there are also natural obstacles such as cows, carriages, beggars, potholes, dogs, goats and sudden and unexpected roadworks, hayloads, mopeds with three or four people, big polluting busses and trucks and a large number of people selling everything from newspapers to balloons. In addition to that the pollution is equal to sitting in a small room without ventilation filled with 400 smoking senior citizens playing bingo. We were told that you buy a driverxs license in India. Driving school is not a requirement. I would not call it a “driver’s license” but rather a “license to kill”. The taxi I was passenger in had an interesting feature that became useful when I wanted to lean back. It turned out that the passenger seat was not stuck to the floor and suddenly I was lying in the lap of my girlfriend, who was sitting on the back seat. Welcome to India! Our hotel in Delhi was located in the Tibetan area. We were received in the airport by Tanzing, who is Tibetan and owner of a travel agency. When you enter the Tibetan area, it is like entering another world because it is very different from the hectic lifestyle in New Delhi. Small narrow streets with Tibetan stores, restaurants and hotels, bald Tibetan monks in their red habits and lots of pictures of H. H. Dalai Lama made the perfect scenery. Our hotel, The White House (we did not meet Bush! ), was owned by a monastery and it is monks who run it. The food in the hotel is good and very cheap. Before we had to leave by train in the evening, we had a dinner that consisted of lots of chicken and lamb in various Indian spiced sauces, rice and bread. In addition to that, we got momos that is Tibetan meat and/or vegetarian balls wrapped in a thin layer of dough and then steamed or roasted. It is similar to Dim Sum, wonton or ravioli. We were 16 people and paid 240 Dkr. for all of this including soft drinks, it was a non-alcohol area, and we could not even eat all the food! After a train ride in a in a sleeping car where most of us slept fairly well after a few beers and some swigs of good whiskey, we arrived to Patankot where we had to continue by bus. Traveling by bus in the mountains in India is for certain an experience you remember for a long time. There can only be one thing worse than driving up the mountains in an Indian bus and that is driving down! No crash barriers between the road and the abyss, big trees that have fallen onto the road where only a middle section has been removed so big trunks still stick out of the road. Holes the size of Volkswagens in the road, cows, monkeys and dogs that run around and other drivers who constantly are on collision course with the bus. To our surprise, we did not see any serious accidents while we were in India, only a few crashed trucks. But we heard about several who had driven into the abyss. There were two roads between our area and the government area. One was good but long. This was good under Indian circumstances but bad under Danish. My opinion is that it could be used as a fairly good and challenging downhill slope during the winter when it is covered in snow. The other road was shorter but a lot more dangerous because most of the road had been washed away by the monsoon. Several cars had driven into the ditch and the ditches are several hundred meters deep. The old song about Loch Lomond is true here: “I take the high road, and you take the low road” and “And wexll never meet again on the bunny banks of Loch Lomond”. In addition to that, the shock absorbers in Indian cars must have been exchanged for more powerful and advanced horns. Every time the cars hit one of the numerous holes in the road, it felt like being kicked in the as.. by an angry bull. 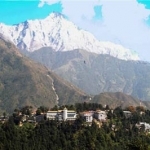 The geography in the area is that Dharamsala is divided into three areas which are located in different altitudes. Lower Dharamsala is located in approximately 1000 m above sea level and is an Indian city. Further up the mountain is the administration area with the government building where the Tibetan exile government frequently has meetings. Even further up the mountain, approximately 1800 m above sea level, is Upper Dharamsala or McLeod Gonj, which is almost completely Tibetan. The area is named after a British colonel who liked being in this area. During the colonization, many people from Britain lived in Northern India, especially in the summer, because it is very hot in the Southern areas of India, like in Delhi and Mumbai (Bombay). It is also in this area that Dalai Lama lives, close to a monastery in a humble small house surrounded by security guards. Further up the mountain is Tibetan Children Village, that is a big school area, where about 2,000 Tibetan refugee children live in a community home far away from their parents. McLeod Gonj is basically made of two parallel streets that are very narrow. There are a large number of stores that sell all kinds of crafts. There are crafts from Kashmir, such as figures made of rice paper, shawls and clothes. When I was in Kashmir 28 years ago, it was a brisk tourist area where they sold their beautiful crafts, for example in Srinigar that is perhaps located in the most beautiful area in the world. If you have been on a houseboat on Dal Lake and experienced the view of the lake with the red mountains in the background, that are the first of the Himalayas, well then you do not need to experience anymore. You cannot describe how it is to sit there with a cold beer and with kingfishers sitting next to you while you look at lotus flowers and boats that look like gondolas. The city is also called “Venice of the East”. But because of religious disturbances they have to sell their crafts in other tourist areas such as in Goa and Dharamsala. Of course you can also find Tibetan crafts, such as knitted jerseys, skirts and socks, in Dharamsala and also stores with Indian crafts like jewellery, cloth, silver and religious figures. H. H. Dalai Lama’s presence is evident in the city. In addition to the many stores that sell books and picture of and by Dalai Lama, you can find his picture everywhere, in stores, restaurants, cafes and hotels. The streets are full of people, cows, dogs, beggars and every type of vehicles from carriages to tuk-tuks (3-wheeled scooter taxis), busses and trucks. The roads are very uneven and the stores can look from very nice and somewhat luxurious to a stall that has been put on the side of the road. If you look up, you can see power cables that look like a ball of yarn a cat has played with. It is amazing the electric system is working at all. But even if there are many similarities between other Indian cities and McLeod, it is an exciting change from Delhi. The air is fresh and the scenery is beautiful. The view of the valley and the mountain is very beautiful and perhaps the most beautiful I have seen. And I have been in most of the mountain areas in Europe. In addition to that the city is much more calm and pleasant to live in. Life is not as chaotic and hectic as in New Delhi. It is without doubt that Dalai Lama has a lot of influence on this area. I simply have to tell a little bit about this area. In 1959 Tibet was in chaos. The Chinese invasion that had begun several years before became violent this year with killings of Tibetans and monks and lootings and destructions of temples. A lot of people tried to escape from Tibet and children were separated from their parents either during the escape or because their parents had been killed or taken prisoner by the Chinese. Because of this it was a large group of sick and unhappy children that came to India without parents. When Dalai Lama heard about this, an area in Dharamsala was created where the children could get treatment, education, food and clothes. In the next years this area expanded and lots of children from Tibet were smuggled out of India without their parents by a network, and they were often followed by monks and nuns who carried the children on the back across mountain passes 4 – 5000 meters above sea level in frost and cold. This may sound horrible in our ears but you should not forget that the Chinese occupying power try to destroy the Tibetan culture. This also happens in schools. Today Tibetans are a minority in their own country and all education in schools is in Chinese. You can compare it to the Indians in America and the aboriginals in Australia. This future combined with bad educational possibilities make a lot of Tibetan parents send their children to Dharamsala to have a better future. Today the Tibetan Children Village is a big area where the children can get education in their own language. A big effort is made to teach about Tibetan culture and the children practice music, dance and theater where Tibetan culture is the pivotal point. The children live in small groups with two adults who are teachers and xparentsx for approximately 35 children. The big children take care of the smaller children and the teachers are often former students who work for a small salary. The area has, as mentioned, approximately 2,000 children, which is close to 25% of the total population in the area. It is the biggest school area of the many schools that have been created in the many Tibetan exile areas in India. You can say many things about Indians but you have to respect that they let a foreign people get such a large territory without interfering in the way the Tibetans use the area. The areas are totally self-governed. And we cannot even let people from our own rich and spoiled country decide about their own tiny part of Denmark. Who said Christania? Most of the permanent residents are Tibetans who have a clearer and more sensible attitude to life than Indians. Agreements are kept, work gets done and you can have a sensible conversation with them. Indians promise a lot and nothing happens and they can get very angry if you point out these flaws. There are also lots of hippies who spend time in the many small cafes you find everywhere. Pot and other drugs are smoked in these cafes. Fair enough. What is not so fair is that some hippies go into the mountains with a large amount of money to buy pot and disappear forever. There are also a lot of Westerners who study Buddhism in the many monasteries you find in the area. We have heard of several foreigners who want to come and help us. The project has been mentioned a lot. Lepers who beg are not an unusual sight and in the beginning this was a different experience for the children. People with missing body parts such as nose, fingers, hands, feet and legs can be frightening for children but after a few days they began to talk to the lepers and discovered that they were not different from the rest of us and that they were very sweet. Another reason why Tibetans are missing body parts is frostbite. Tibetans escaped over the mountains from India and during the escape they went through cold areas with snow and frost. They escape in very little clothes and because of that they get frostbite that causes gangrene in body parts. The monks often carry children on their shoulders for several weeks to get away from Tibet. They have to hide for the Chinese in mountain caves before they can continue their cold and painful journey towards freedom. We also visited the place that receives the refugees when they come from the border. Here they are given food and clothes, are treated for their sicknesses and get a bed in a big dormitory. It is thought-provoking to see them so positive and without bitterness when you keep in mind a lot of them have lost family in Tibet and had to escape from their mother country because of the Chinese. And it is impressive that Dalai Lama greets every single fugitive. In addition to that, the whole area is marked by the monasteries that are located in the area because there are lots of monks and nuns in the city. It is a bit strange to see the monks use mobile phones and go to internet cafés. Our luxury hotel, that was without a doubt the most expensive in the area, was a special experience. The most positive you can say about it is the breathtaking view of the Himalayas. But the carpet in the hall outside our room was patched with other carpets. The room was a story in itself, especially the toilet. Boring furnishing, pale green walls without decoration and with boring furniture. The bathroom was hopelessly out of date with running faucets and fittings that did not work and were loose. The tiles had been laid by a drunk person on drugs and joints were no where to be seen. Service was miserable and things did not get fixed even after several enquiries. However, this is fairly normal when you talk to Indians. The bartender was wasted around 9 pm and we had to get a guard to translate his nebulous talk, and in the restaurant you almost had to go to the kitchen and get your food and drinks yourself. On the menu you could find “Choice of beer and ice cream”. But this basically meant “We choose for you” because most of the time they did not have more than one kind of beer and no ice cream. However, with a price of 90 Dkr./day we did not want to complain too much and the hotel did have positive things. For instance, three of our rooms got an alarm call at 6:50 am one morningx without booking it. You can call that service above the usual! But we had gone there to work and not to relax in a luxury hotel. So the day after we had arrived, we went to The Health Department that had our things from our project in South India and also the packages we had sent from Denmark. Well at least most of it because some of it had not arrived. We had also bought a fridge for our medicine (and especially our beer). We were going to work in four different sites in different altitudes. The first place had been carefully chosen. It was an open space with asphalt right next to our hotel with the wonderful view of the Himalayas. The next place was in Lower Dharamsala, in an Indian area, because the Tibetans would like to show gratitude to the Indians who had shown a big interest in our project. Because of that the Tibetans had promised we would work there. We were supposed to work there for 5 days, then it was changed to 2 days, and suddenly they wanted 4 days after all, but not when we had planed it. So we said stop, we would be there two days as previously decided. After that we went to Nobeling that is Dalai Lamaxs old summer palace. Nobeling was also the name of Dalai Lamaxs summer palace in Tibet but after the Chinese invasion and the Tibetans escape from Tibet, a new summer palace was built in India. However, Dalai Lama thought it would be more useful as a museum and workshop. A small Tibetan society with homes for handicapped children has been built up around this beautiful palace with gardens and small waterfalls. The next place was going to be in “Tibetan Children Village” as I mentioned previously and we would finish in The Health Department where the government building was. We returned to McLeod Gonj after getting all our medicine and equipment and we saw they made our tent ready. It was a big tent, four meters from the floor to the ceiling. They put electricity and tables and water was arranged. It was actually a big tent for weddings with tables and chairs that we had been able to borrow. We spent the next hours with sorting the mess and make a work schedule for everyone. Spirits were high and everyone was excited to begin and everyone knows what his/her tasks were, even the new people on the team. We divided the tent into three rooms: two small rooms for registration and preparation and a big room for operations with five operation tables. This time we got tables used for parties that were worn and with nails sticking out everywhere. But at least the dogs would not slide down from the tables. In addition to that we had to put rocks under the table legs to make them tall enough but they were still taller than last time. The Tibetans from The Health Department had arranged for guards outside the tent during the night. They also had to keep an eye on the dogs that still were tired in the night and feed them when they were fit enough. The Tibetans also cleaned after us but we had to stop them from pouring wash water into our electrical installations on the floor. Everyone arrived in work clothes and scarves. Lasse had bought colored scarves on the market that we could use on our heads instead of operation caps. So “Dyrlæger Uden Grænser” got a new nickname: “Bandito-vets”. Nothing really happened before 11 am which surprised us but it turned out that an official person would come and make a real opening of the project with a speech, cutting of a red tape (one of our own leashes!) and recording of a TV program with interviews. So we had people from TV running around in the OR and other places all day. Our first patient was one of our Indian dog catchers who had been bitten in arms and legs. 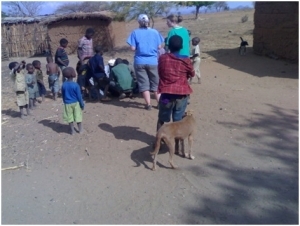 All our helpers had been vaccinated against rabies so he only needed a revaccination. 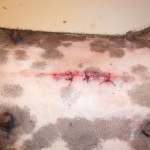 The wounds were treated and he got antibiotic. People came with several dogs in trucks, tuk-tuks, private cars and even by foot. Monks and Westerners would walk up the mountain from far away with dogs in their arms. There was a long line of private dog owners who primarily wanted their dogs vaccinated. There were Indians, monks, Tibetans and resident Westerners from Lithuania, Japan, England and Tasmania. We vaccinated 125 dogs the first day and operated on (sterilized/castrated) 37 dogs. We also had a dog with symptoms of rabies that we had to put down. This time we had a special permit to put down hopelessly sick dogs that could not be helped and be a danger to people and other dogs. We had helpers from Canada, the US, England, Austria and Switzerland so we were an international team. 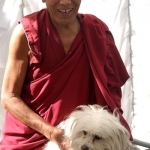 All the removed embryos from pregnant dogs that were sterilized were given to our Canadian monk. At the end of the day, Josh a fully trained English monk who had been here ten years, was sent for to bless the embryos before they were buried. During the next three weeks we traveled between the different areas and we came to vaccinate 600 dogs and operate on 260. The Tibetans were satisfied with this and dogs with color and a shaved spot on the back soon became normal in the city and a subject of conversation for both Tibetans and Indians. We had a very caring “dog granny”. 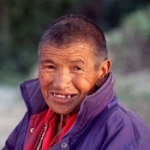 She was an old Tibetan woman with only a few teeth left but this was compensated for by the number of wrinkles in her face. She took care of approximately 30 dogs in her own house and she would turn out to spend almost everyday and night in our place to help the dogs. We did not understand any of her gibberish but she was good at gesticulating while she talked so it was not that bad after all. One day we went to a Tibetan restaurant and we had just ordered the food when one of our night watches suddenly appeared in the middle of the restaurant. Exactly this night watch was on every known and unknown drug and therefore a bit difficult to understand when he spoke his already poor English. 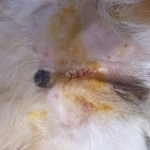 But it was about a dog that had problems with a wound and he wanted us to come and look at it. My fantastic veterinarian care for xall creatures great and smallx overcame my hungry stomach and I followed our night watch out who proved that spinal cord reflexes can handle a lot. Luckily the owner of the dog was right outside the restaurant so we did not have to walk all the way back to the tent. Because the dog was one of the small and aggressive papillon/terrier mixes I asked the owner to hold it. It did not go well when our slightly intoxicated night watch tried to hold it. He was bitten several times without noticing it and it made me wonder what combination of drugs he had been using so we could use it as anesthesia. In the end the owner took out a muzzle he had borrowed. After that I got a grip around the neck of the dog so firm that it relaxed (passed out) while it was muzzled. The night watch in his intoxicated state thought that I was not satisfied with his work and tried to punch me. After checking the wound and determined that it could wait to be fixed until next morning, I had to explain to the night watch that he should not try to punch me again. The rest of the night went without problems and when we checked the tent and the dogs, we found the night watch feeding the dogs. It was impressive what he could do in his intoxicated state but I guess he has had many years of experience. One day we visited a community home for the poorest children in Tibet. This community home is only for children from a particularly place in Tibet. This place in Tibet was so remote that it had been isolated in many years and the residents had their own language and were illiterates. The place was discovered by two monks who were hiking and the place was also unknown to the Chinese. When Dalai Lama heard about the place he wanted to help. Because the children could only look forward to a poor life, the parents were offered to let their children go to a free community home. The offer made them happy and that is why the community home was built out of Dalai Lama’s own pocket. Since then a lot of sponsors have helped, including Tibet Charity in Denmark. I had expected to see a dark and boring community home that was dirty and messy. But I was mistaken and how. Already in the school yard you could see it was nice and tidy and the buildings were beautiful. The tour began in the sick bay where colorful pictures of Donald Duck were hand painted on the walls. All the beds were tidy and the medicine was placed in alphabetic order in the medicine cabinet. We saw the dormitory where every bed was made so perfectly that even the strictest chambermaid in the best hotel in the world would be impressed. There were teddy bears on all the beds and it was so clean you could eat off the floor. And it was the same all over the community home. The children’s lockers were filled with their clothes, and where rooms of Danish children look something like the battlefield from World War one, here everything was arranged perfectly. And you have to mention that the children themselves washed, dried, folded and put their clothes in their lockers. They also washed the floors, made the beds, did the gardening and cleaned all the rooms and the outside areas. In addition to that they had to cook, make homework, practice shows for guests and many other things. Their rooms were well equipped; the room for physics was full of instruments, wall sheets and liquids and it was as clean and tidy as all the other places. We agreed that this would be a good place to put most spoiled Danish children! It is difficult not to be inspired by the Buddhist way of thinking. It is a way of life that is very brotherly and positive. And they are not allowed to do missionary work! This attitude alone, that everyone has a right to his/her own opinion about life, is appealing. Exactly this free and brotherly attitude appeals to Westerners that is why there are many Westerners in the area, both in the city but also as students in the monasteries. Of course there are many monks and nuns from the West but there are also a lot that come to take shorter or longer courses in the monasteries. And some of these students and monks helped us with the work. Also famous people are attracted by the Buddhist way of life. For instance, our restaurant has been visited by Pierce Brosnan (James Bond). And several times we saw garbage trucks with the text “Keep Dharamsala clean sponsored by The Gere Foundationx. Richard Gere is a big admirer of Dalai Lama and is an active Budd”ist himself. A big part of the monks’ day is used on studies and meditation. One of their methods to learn concentration techniques was to make very detailed figures of butter and colored sand. One day we were standing next to a “mumble center”. I do not know how else to describe it when 50 monks from 9 am to 16 pm mumble their mantras in different vocal pitches without pause. It sounds exciting but very monotonous. By the way, a mantra is a word or sentence that is repeated again and again as a part of the monks’ concentration techniques. But the most important for all Buddhists is to be good to other people. And as Dalai Lama says, “You must help others but if you cannot do that, at least do not hurt them”. President Bush could learn a lot from him. And there are many who want to help the Tibetan fugitives. While we were there, a group of Danish people visited the area with Lakha Lama from Tibet Charity in Copenhagen. One person from that group had committed to sponsor 10,000 Dkr. for ten years to a children’s home with 25 Tibetan children and two employees. This amount of money would cover wagers, electricity, heat, clothes, food, well everything. This group also visited us and several of them said that they thought it was the most exciting thing they had seen on their trip. 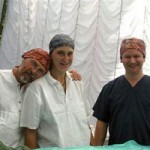 Just imagine going all the way to India and discover the most exciting experience to be Danish vets who operate! Before we went to Dharamsala we went to a dinner with the people behind Health Department, where we presented our plans for the work we would do. We also talked about the operations we perform because they are only a drop in the ocean and we should find more permanent solutions. A good start would be to have a central animal hospital in India and it could be expanded with smaller units (clinics) in other areas. The animal hospital should have one or more Indian vets and technical personal on staff and these people could have a rotation schedule for going to the clinics and work there. At the same time Western vets and technical personal could help in shorter or longer periods of time. Because there are no Tibetan vets today, plans have been made to find qualified young Tibetans who would like to become vets. The money for this should come from sponsors. Gradually, more and more hospitals could be built and the existing ones could be expanded with mobile units, for example cars/trucks with equipment for operations and medical treatment of small animals and farm animals. It is important to take care of cattle because it would be a catastrophe for a Tibetan family to loose their cattle. In addition to that there is tuberculosis among both cattle and humans and no other nation has been hit as hard by it as the Tibetan. Therefore it is important to help the Tibetan nation to create a veterinary system, one that does not exist at all today. This is hard work and demands a lot of preparations. It also demands a lot of money. But money last a long time in India. A fully equipped animal hospital with two floors, x-ray, laboratory, consulting room, cages and paddocks and a floor with four guest rooms with showers, a meeting room and kitchen would cost around 500,000 Dkr. this is including all installations. However, it is too expensive to use linoleum on the floor, but a lot cheaper to use marble or slate because it is almost found as trash in fields and on roads. A lot of people have supported our project. For that reason, all of us from the group of vets and Tibet Charity would like to thank all the companies that have supported us with money, equipment and medicine in the spirit of true Buddhists.